Click the section you are interested so you can jump there right away. If you’re tired of constantly having to deal with messy drawers, perhaps the time has come to do some smart organizing. 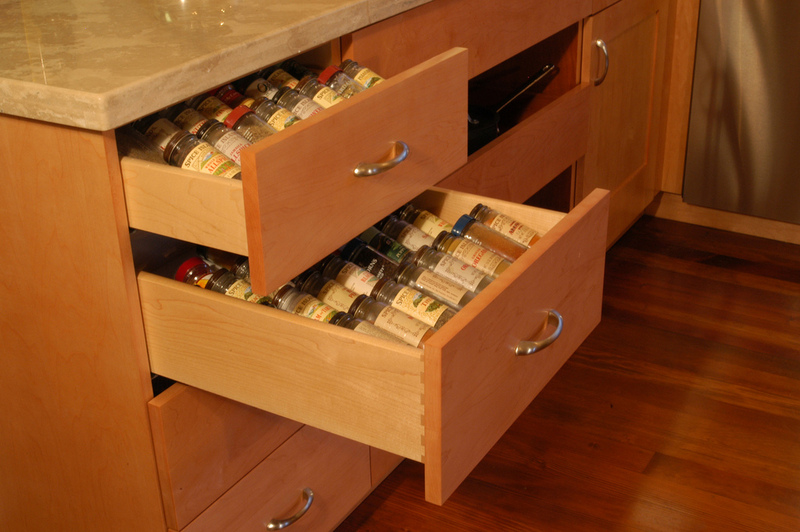 Drawers can be found in multiple places in your home or at your office. This article will present some clever tips to change the way you organize all your stuff. It doesn’t matter if we’re talking about dresser, desk, kitchen, or bathroom drawers, they all can get equally messy. There are some differences between how you approach the organizing of these drawers though, so the ideas are sorted into drawer categories to quickly find the one you’re looking for. Has it ever happened to you to neatly put your clothes away after laundry only to discover that, after a while, everything is a disorderly mess? Items that were neatly stacked are now crumpled, socks are nowhere to be found, and you have to do some digging to fish out your favorite T-shirt. Rethinking the way you utilize the space provided by your drawers can help you avoid this kind of situations. Getting your hands on some smart products and DIYs projects can also make all your dresser problems disappear. 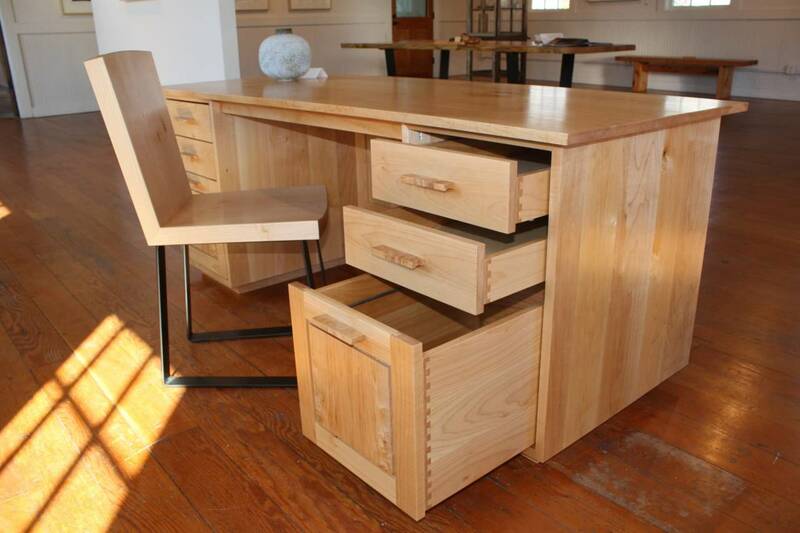 Drawers are practical in many environments including offices. Lots of little things have to be stored in any kind of office and clutter can inevitably appear, especially when space is more limited. 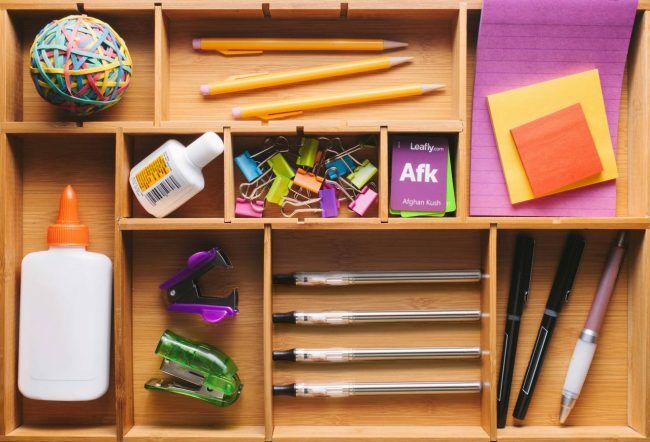 If it takes forever to find the right item and you wish to get rid of the clutter, check out the desk drawers tips below that will help you keep things clean and organized. The kitchen and bathroom drawers also seem to quickly fall into disorder but if you make some radical changes and organize everything more efficiently, this problem will be so much more manageable. The tips shown here don’t have a particular order of importance as it depends on how messy your drawers are and your specific organizing needs so without any further introductions, let’s see which are the best ways to smartly organize your drawers. The drawer of T-shirts can get pretty messy if you stack them one on top of another. To fix this problem, you could try using two towel rods attached to the front and back of the drawer and then simply fold the T-shirts on metal rods which need to be thin and slide perpendicularly. Finding the right-size top rods can pose a bit of a challenge but if you do your measurements correctly, everything should go smoothly. They can provide a sleek solution to divide your drawers into specific sections for your clothes, especially for smaller things like bras and underwear. Sets of acrylic dividers can be purchased from a store but if you’re feeling more crafty, it’s worth trying a DIY project and obtain custom-made ones for your own drawers. No major tools are needed and they can turn out lovely for organizing all your messy dresser drawers. We recommend these acrylic dividers that we found on Amazon. Consider rethinking the method you’re currently using for folding clothes if it doesn’t seem to be working. Although I’ve mentioned the T-shirt filing system, if you want something similar but without the hassle of getting metal rods and dividers, you could simply try to fold your clothes differently and see how they fit in the drawer and if it works for you. 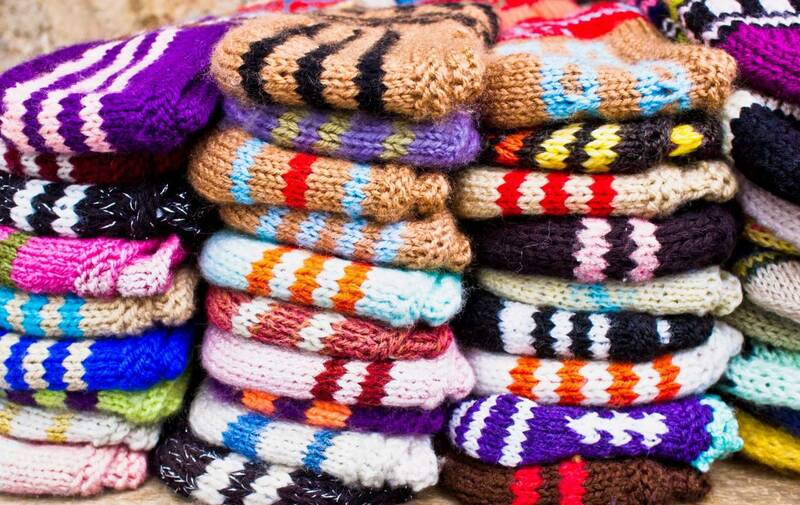 Having tons of sweaters in your dresser drawers even though it’s summer outside doesn’t sound very practical. Separating the items according to the season it’s a great idea to gain some space and make everything feel less cluttered. Just take away the off-season items and store them somewhere like in a special bin in the basement or in a similar place where they don’t get in the way. When the weather is cold or warm just switch the dresser’s contents accordingly. Functionality is key here because not all clothes accomplish the same purpose. 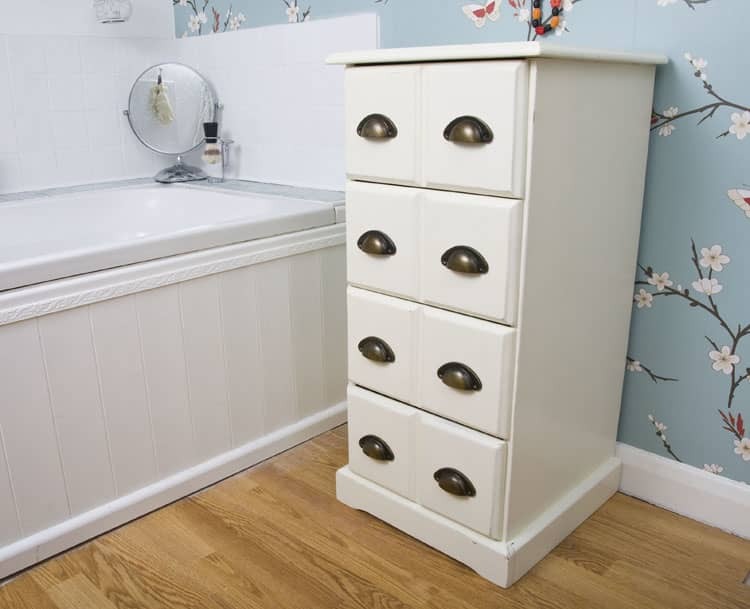 If you have more drawers you can take advantage of it to sort the clothes and place them by their type. Stuff like pants and sweaters should generally be stored separately. Pants usually have to be folded differently from shirts so to prevent wrinkles, is strongly recommended to keep them separate. You also have a drawer for delicate clothes and pajamas and another for shirts. Deciding what items go in what drawers can be tough. As a general rule, the clothes that are most frequently used should be put towards the top. Worth to keep in mind is also the fact that, ideally, lighter items should be placed at the top to reduce the strain on your dresser. If you have items that you don’t use very often, it could be a good idea to identify them and put them aside. After all of your most important items are nicely organized, you can deal with them more easily. A good solution for drawers that are way too big for your clothes is to use open bins, such as fabric or wicker bins found in various home stores. We found these amazing wicker baskets on Amazon so check them out. 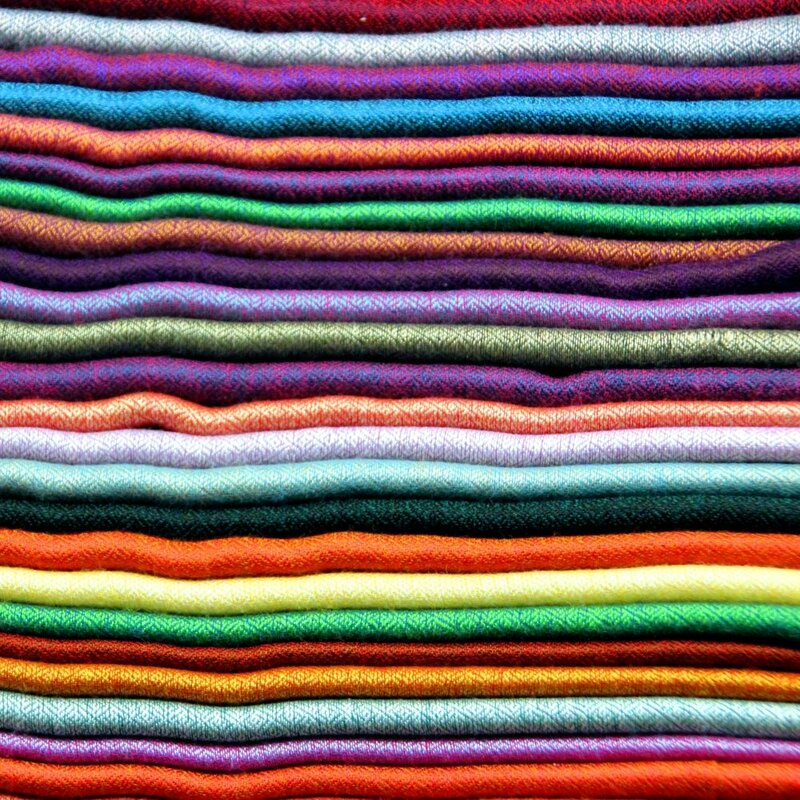 Look for different sizes to match your clothes better. 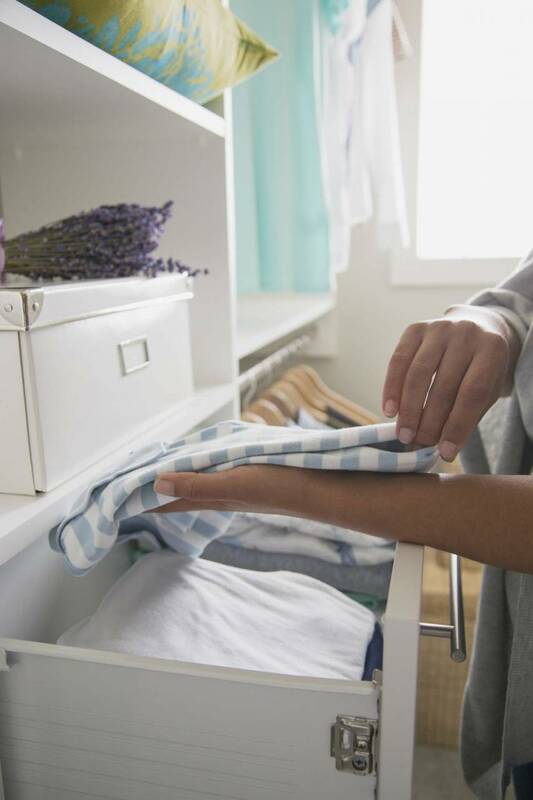 Keeping stuff separately can also be useful for those times when you decide to rearrange the drawers because you can simply take out the bins without the need to get every piece of clothing out and then refold all your clothes. This is a very popular advice especially handy for when you need to pack a suitcase but it’s definitely extremely useful for the dresser drawers too. Because rolling takes up less space and prevents creases and wrinkles when executed correctly, this is a highly recommended way to organize your clothes more efficiently. In order to prevent wrinkles you need to make the rolls slowly, take your time and get them tight. There are some exceptions for the rolling method, including clothes that come with natural creases in them which should probably still be folded in the traditional way. If there are bras that need to be stored in your dresser drawers, try the nesting method. It refers to stacking them by placing the curve of the cup from one bra into the curve of the cup of the next one. By using this technique, you can potentially save some space and give your drawer a more organized look. The integrity of the bra is also preserved, staying strong and supportive for longer. Storing socks into drawers usually leads to a huge mess and for this reason, you could try an alternative for sock storage. Just don’t store them in your dresser but instead go for a hanging shoe organizer where you can place the socks in its pockets. Finding the right pair is now super easy as each one belongs in its own pocket and as a bonus, you don’t even need to fold them anymore. Alternatively, if the space in your drawer permits it, try using pudding or drink cups as little homes for your socks. Frequently used items belong in the drawers that are the easiest to reach. The top drawers of a desk can be reserved for those large items that see a lot of usages but there isn’t really a need to keep them out on the desktop. It’s important to consider the closeness of a drawer for all your essential items and additionally, pay attention to how close the drawer is to your dominant hand because this matters too. The tools that represent the foundation of your work should be always available to your top-most drawers. In here you can include pens, pencils, binder clips, stapler, and index cards. Wallet and keys also go in the top drawer for storage. Overall, it’s important to be selective about the things placed in the top drawer. 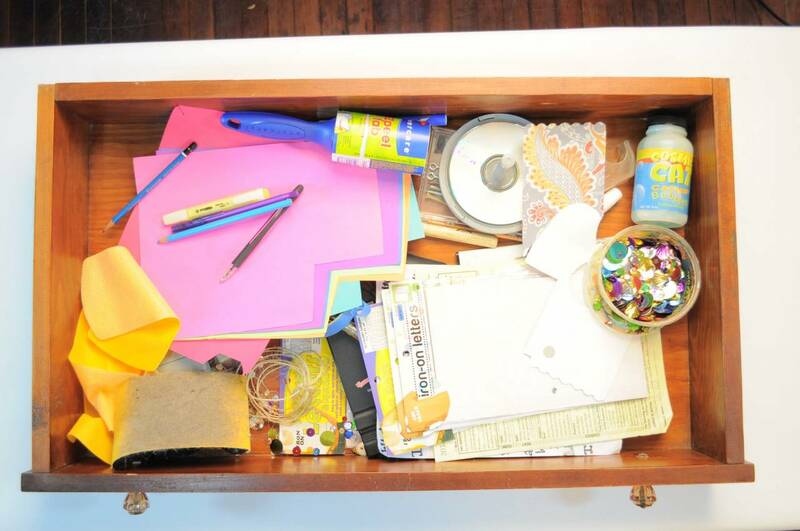 Clutter easily accumulates everywhere so you have to be careful that your office drawers don’t turn into junk drawers. These are handy items that fit neatly into desk drawers and are especially useful if you own lots of small items. Organizer trays are made of compartmentalized sections to keep everything visible and organized in its proper place. Anything from your desk that’s worth keeping but not needed on hand should be stored elsewhere because otherwise it will pile up and create a mess. Included in here could be various personal items, gadgets rarely used, snacks, and beverages. Stuff like written documents, need to be put into folders and into a filing cabinet, while other things can be placed in a bottom drawer or some nearby closet if they’re not that likely to see a lot of usages. Another useful tip about this idea is to try to make a habit of putting away things quickly after you’ve used them. Sorting paper documents from the desk and lost in your drawers can be a frustrating experience in an office but if you decide to invest in a letter tray, you can enjoy many benefits. These shallow containers with multiple levels enable you to sort all the incoming and outgoing paperwork, as well as designate levels for answered and unanswered mail. Your desk space will no longer be overwhelmed by all types of loose paper if you confine all these written materials to a practical letter tray. This is a good way to keep the organization of your drawer more meaningful and efficient. Try placing items one by one into the drawers and consider well your personal needs and supplies. Some people prefer to keep in a single drawer a ream of printer paper or stuff another just with cables and electronic accessories. Put your creativity to good use. If you’re left with empty drawers after organizing, this doesn’t mean that you have to dig deeper and find stuff to fill them with. Ending up with empty drawers means that you did a good job when you arranged your drawers. Similar things fit nicely together so there isn’t really a point in breaking them up now and giving your items some more space by moving them into the empty drawers. It’s your personal choice in the end but having some empty space can become handy in the future when you may unexpectedly need to place new things somewhere. If it bothers you to stand on tippy-toes to reach your plates, maybe it’s time to install a deep pullout drawer. In case you were worried about the dishes moving around inside, you should try to install a pegboard and use wooden dowels to firmly secure the plates in place. 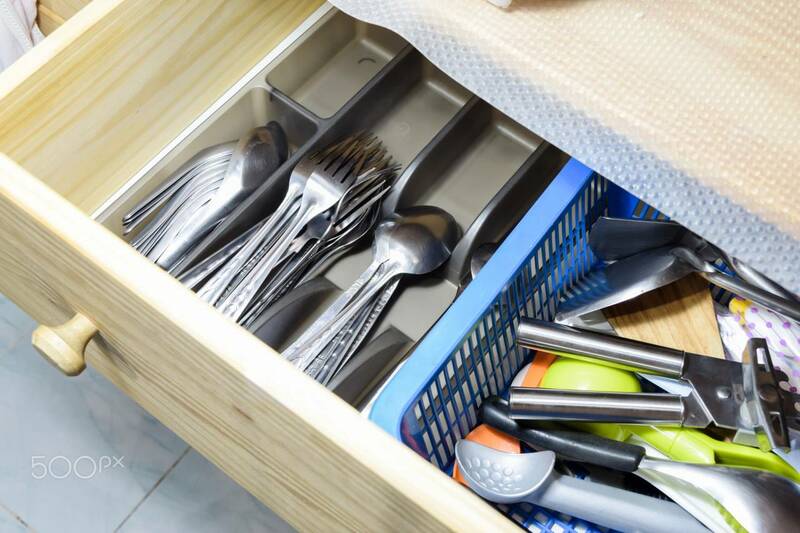 A better idea would also be to choose a drawer that’s close to your dishwasher so that you can speed things up when it’s time to put dishes away. One that we can’t recommend more is this one from Amazon. Sifting through drawers looking to find that special measuring tool is not a pleasant process especially when you’re baking. If your drawers get easily messy even if you put items that accomplish the same purpose together, then maybe you could try an alternative. I’m talking about a cork board to hang them. It can be a practical solution to easily see all your measuring tools displayed within reach. Basic containers aren’t that fancy to have but you can make them more adorable by placing colorful labels on them. It’s not very fun when you stumble upon things through your drawers whose contents you don’t recognize. This problem is solved easily if you label them properly using cheap dollar store labels. As a bonus side effect, it also creates a more cohesive style in any space dominated by neutral colors. Your kitchen shelves have their limits so if you need more storage you can try choosing to buy drawers that are stacked on the shelf. In this way, you maximize the storage capabilities of that space and you can keep more handy items close at hand. Storing leftovers can be done easily with plastic tubes so it’s no wonder that many people have lots of different bits and pieces which can get overwhelming. It’s time to sort through them and find those that are no longer useful such as food containers with lost lids. Random empty ice cream tubs are also not a pretty picture so if you have this kind of container mixed in, it’s a good idea to get rid of it. After you’re done looking through all of the containers, simply categorize the keepers and organize them by size and shape. If you’re an active cook, the likeliness of having a dedicated drawer just for spices is high. To get the spices organized, the first thing that you need to do is to toss anything that’s too old then pick a drawer that’s placed away from the oven in a cool spot. In here you can put all your most frequently used spices and by using clear glass jars you can check more easily how much you have left of each spice. Similarly to those used for dresser drawers, kitchen dividers are helpful as they have separate compartments for different types of utensils. 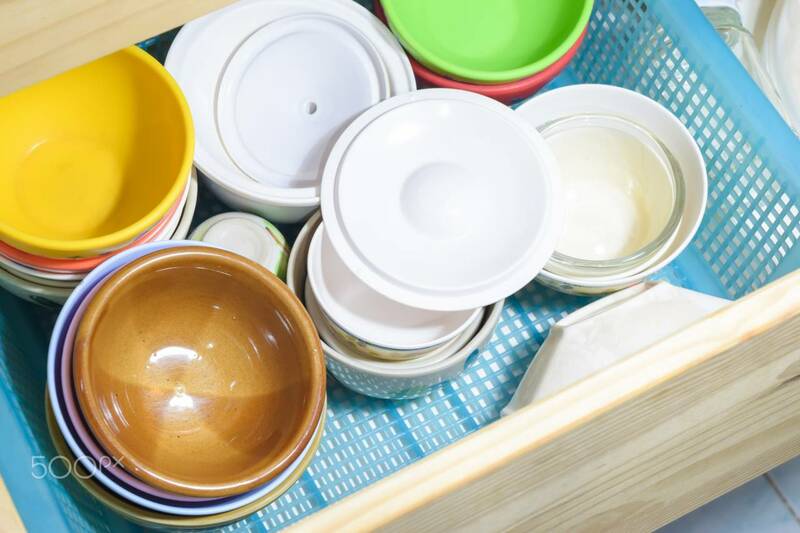 They can be boxes or trays that will fit well in any kitchen drawers but it’s important to take some measurements of your drawers first so that you’ll get the right divider. By having multiple lengths and sizes of compartments, you can use the divider for a bigger variety of utensils. Check out this one that we found on Amazon. Having beauty products scattered all over your bathroom is not only an unpleasant sight but it also makes it hard to find exactly what you’re looking for. This is where utensil trays come in handy as they are excellent products for keeping small items together in your bathroom drawer. Stuff like nail clippers, tweezers, and makeup brushes can be more organized this way. 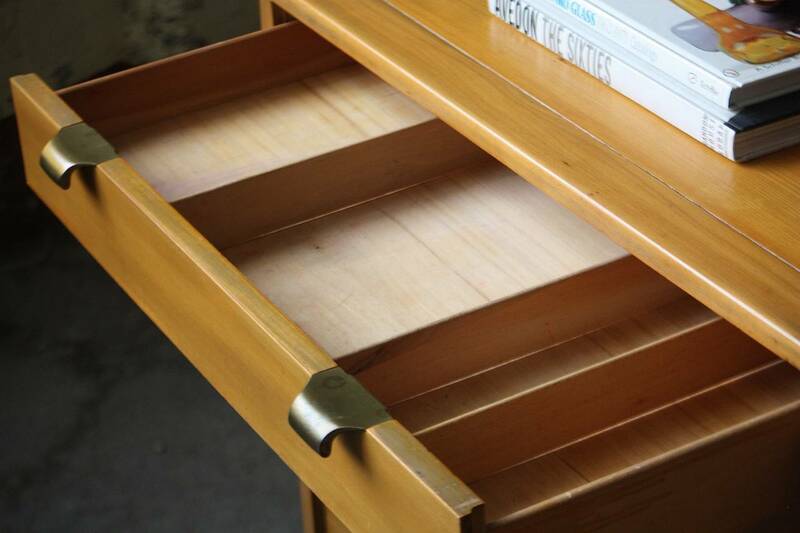 Top drawers should be limited to items that are used daily or several times a week. Those cosmetics or products that are only required for special occasions should be stashed away in a bag and placed in a lower storage drawer or cabinet. A great way to make use of the space from your drawers and separate things in their respective categories is by getting dividers for your drawers. They can simplify the morning makeup search a lot but that’s not all. There are lots of practical aspects about having dividers in any drawer and the bathroom is no exception. 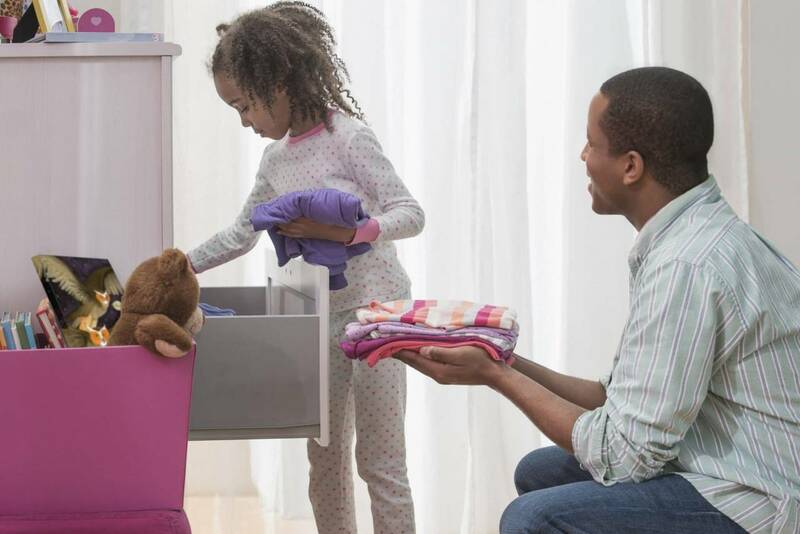 You can place things like razors further in the back of a drawer (important if you have little children around the house) and keep items that you frequently use always in the same spot that’s more easy and convenient to access. You can have each drawer designed to keep certain items that have a similar theme. A good example is having a drawer that only contains curling irons, blow dryers, and products like that. The general idea is to assess carefully what you own and put things into the right categories. After that, you can neatly place them in their assigned drawer. Some drawer dividers could be an imperfect match for the drawers in your bathroom. Nobody likes having the organizers sliding around in the drawer but this can be solved if you use Velcro to hold them down more firmly. Alternatively, you can stuff some paper towels far in the back of the drawer. Both methods seem to work well so choose the one that’s best for you.